Every year, we meet hundreds of exceptional individuals who truly shine in the world of sail training. They are dedicated to helping young people from around the world grab the opportunity to take part in the adventure of a lifetime. Now, it’s time to recognise them for all their hard work at the Sail Training International Annual Awards. Who made a splash in your sail training world? Who inspires you? Who regularly demonstrates best practice? And who has made an extraordinary contribution? We believe that these people should receive the recognition they deserve by winning an award. “We have come across some truly inspirational sail trainers and sail training organisations again during our Tall Ships Races and Regattas this year. “We also know that there are so many more out there who deliver excellent sail training on a daily basis outside our events and would be well deserving candidates for the Sail Training International Annual Awards to give them a chance of being recognised by the international community. The deadline for nominations is 14 October. WHAT ARE THE SAIL TRAINING INTERNATIONAL ANNUAL AWARDS? We present these prestigious annual awards to individuals and organisations that have made a significant contribution to sail training over the past year. 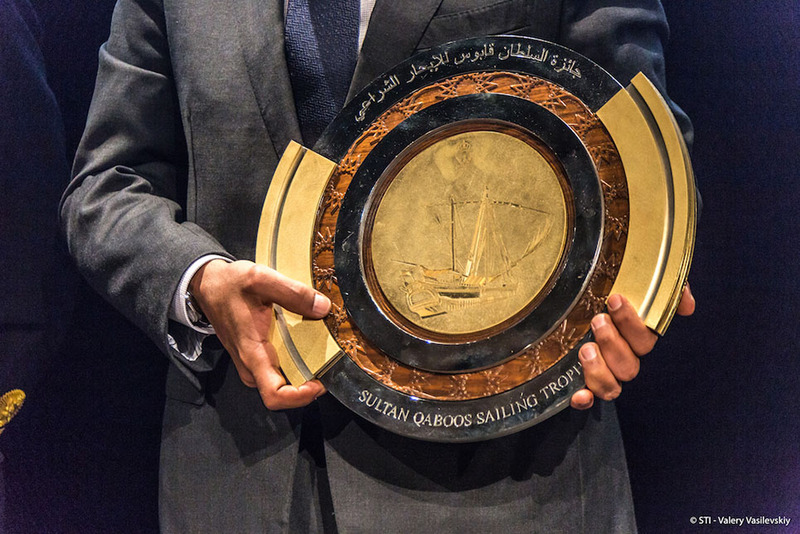 The awards ceremony will take place at the International Sail Training and Tall Ships Conference 2018 in Seville, Spain on 29 November-1 December. We welcome nominations from everyone – sail training organisations, individuals and NSTOs (National Sail Training Organisations). You can also nominate yourself or your own organisation. HOW DO I NOMINATE AN INDIVIDUAL/ORGANISATION? It’s easy to submit your nominations. Simply complete the nomination form and return it to Amanda Goodden (amanda.goodden@sailtraininginternational.org) by the deadline of 14 October 2018. A Sail Training International Awards Committee will select the final winners. This is awarded to a sail training organisation that’ demonstrated excellence in innovation and best practice in sail training for young people. There are two awards in this category: Large Vessel Organisation or Small Vessel Organisation. NSTOs, sail training vessel operators, and individuals are all eligible to nominate in these categories. This award recognises a high-performing professional sail trainer (over 25 years old) who delivers the sail training programme for young people at sea. Sail training operators/organisations are eligible to nominate in these categories. This is awarded to a volunteer in the sail training movement who has made an extraordinary contribution to the organisation they serve through their skills, talent, time and dedication.